Kayla Pagnani (third from right), Children’s Miracle Network Hospitals program manager, poses with the Greek Senate Executive Board and Greek affairs staff and presents award for being the first New Jersey Children's Miracle Network Dance Marathon to raise over $50,000 following KDM 2018. 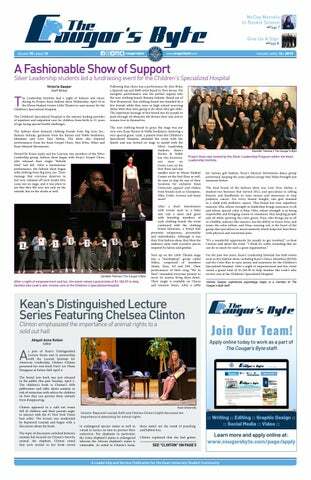 The first annual Kean Dance Marathon (KDM) Winter Wonderland Gala was hosted by the Greek Senate, Thursday, Nov. 29. The event transpired in the STEM building’s Donald R. Conklin Conference Center from 7 to 10:30 p.m., which was adorned with decorations from top to bottom. Guests arrived in their formal attire to enjoy a night of socialization and fun, but most importantly to raise awareness for the important cause that benefits the Children’s Specialized Hospital. 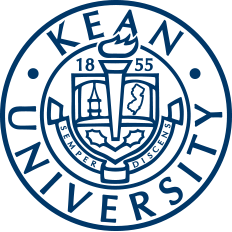 Each year in the spring, Kean University holds the Kean Dance Marathon, a 12-hour long event that is intended to raise money and awareness for the Children’s Specialized Hospital. The event includes activities, dancing, presentations, performances, and some of the children from the hospital even come to celebrate with the students. Last year, the university raised over $50,000 for the Children’s Specialized Hospital, the highest amount in KDM history thus far. This year, the university aimed to raise even more money for this special cause, and the Winter Wonderland Gala was one of the ways the university was intending to do so. The event began with DJ Nix in the Mix playing a variety of upbeat music to encourage the guests to socialize and mingle. There were many photo opportunities, a raffle to participate in and a table for "Be The Match" where participants could sign up to become bone marrow transplant donors. The first speakers of the night were Scott Snowden, the director for the Center for Leadership and Service (CLS), and Alex Louis, the assistant director for Greek Affairs. They thanked everyone for coming together on this special night, especially since this is the first year that the Winter Wonderland Gala was being held. Additionally, they awarded Janice Murray-Laury, the vice president of Student Affairs, as the Winter Wonderland Gala Honoree and thanked her for her unwavering support for the Children's Specialized Hospital and KDM. She has demonstrated her dedication at Kean and is a mentor not only to students but to other faculty and staff members. Her speech left students feeling proud of their efforts of supporting the Children’s Specialized Hospital. Guests enjoyed the delicious food at the Gala. Following the speeches was the dinner, which allowed the guests to continue to mingle and socialize while enjoying the tasty food. Afterward, Jair Thompson gave a speech concerning Be The Match, which is a worldwide organization that finds bone marrow donors for people in need and finds research methods to improve transplant outcomes. The Kean University Love Your Melon Campus Crew (LYM) teams up with Be The Match often because LYM is focused on assisting children with pediatric cancer, and these issues go hand in hand. Thompson explained that the odds of people finding someone to match with for bone marrow transplants are very low because one's best match is their sibling; however, some people do not match with their siblings or do not have siblings. In that case, it needs to be someone from the same racial and ethnic background, which further advances the difficulties of finding a match. These issues share similarities to those at the Children’s Specialized Hospital and KDM because many of the children are seeking bone marrow transplants and many suffer from pediatric cancer. One of the myths of bone marrow transplants is that it is a very painful process. Be The Match and Love Your Melon showed their support at the KDM Winter Wonderland Gala. Many members of LYM could be seen at the gala to support the Children’s Specialized Hospital, as they were one of the hosts of the event. The evening concluded with a recognition to Kayla Pagnani, the Children’s Specialized Hospital’s program manager who works closely with Kean for KDM. Additionally, Bryce was recognized, who was Kean University’s first miracle child when they started KDM. It was uplifting for everyone to see him, his progress and how he has grown since Kean took him under its wing. Overall, the Gala was an event for students, staff, alumni and members of the community alike to gather together to raise awareness for The Children’s Specialized Hospital and to do all of this for the kids. Kayla Pagnani, the Children’s Specialized Hospital’s Program Manager always works closely with Kean to plan KDM. The next Kean Dance Marathon will transpire April 12, 2019 from noon to midnight in Downs Hall. It will include dancing, performances, games and a chance to raise awareness for the kids. Anyone wishing to donate to the Children's Specialized Hospital through KDM can do so by visiting: https://events.dancemarathon.com/event/KDM2019.